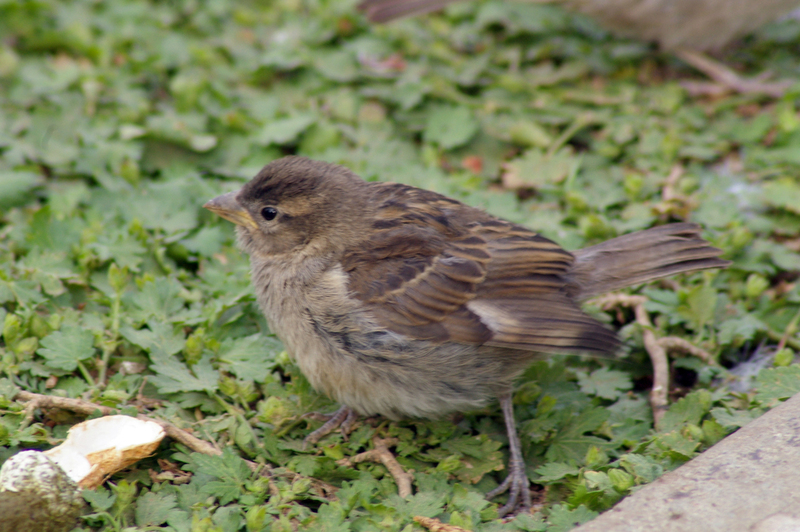 The Sparrow to many, the House Sparrow was introduced into North America from its native Europe in the 1850s. It successfully spread across the continent, and is abundant in urban and agricultural habitats. Although it is found in many remote places, it nearly always stays near people and their buildings. 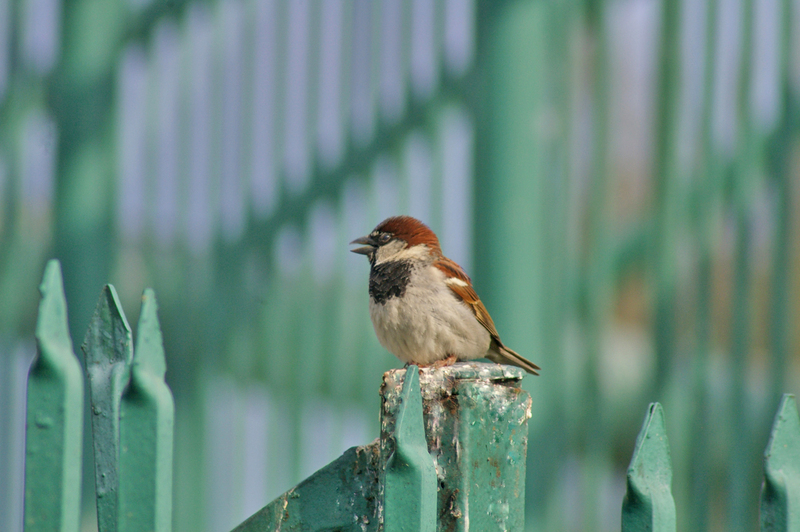 The House Sparrow was introduced into Brooklyn, New York, in 1851. By 1900 it had spread to the Rocky Mountains. Its spread throughout the West was aided by additional introductions in San Francisco, California, and Salt Lake City, Utah. 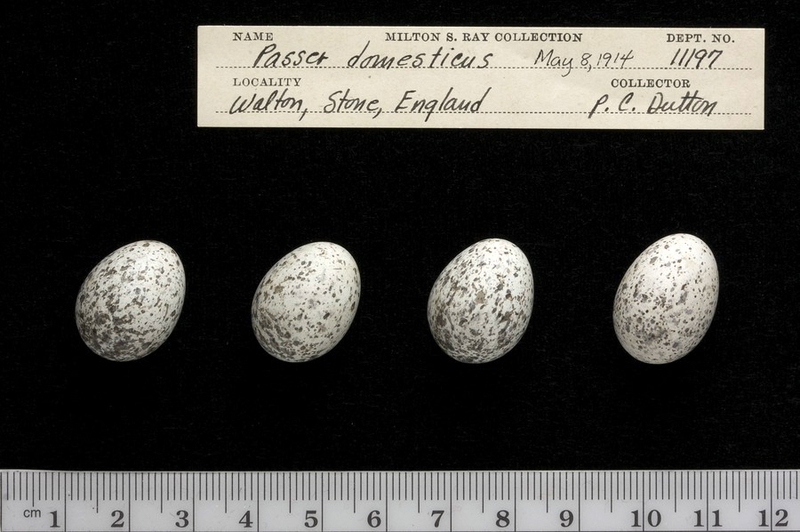 The House Sparrow has been present in North America long enough for evolution to have influenced their morphology. Populations in the north are larger than those in the south, as is generally true for native species (a relationship known as Bergman's Rule). 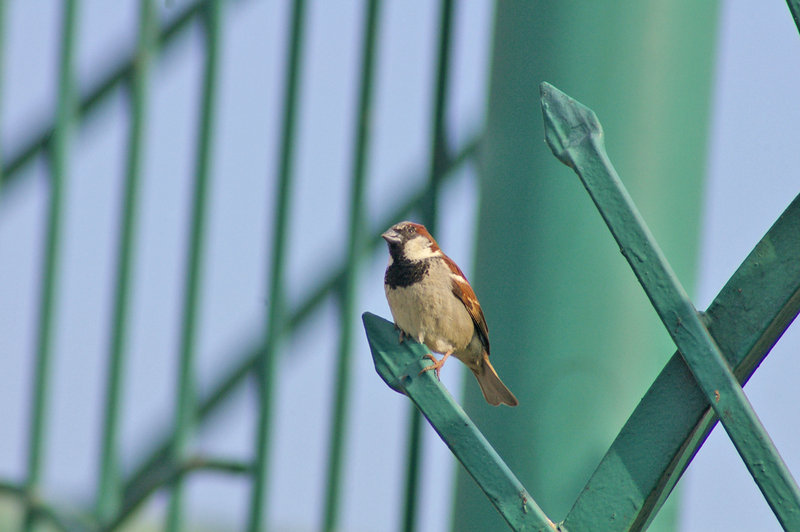 Although not a water bird, the House Sparrow can swim if it needs to, such as to escape a predator. Sparrows caught in a trap over a water dish tried to escape by diving into the water and swimming underwater from one part of the trap to another. 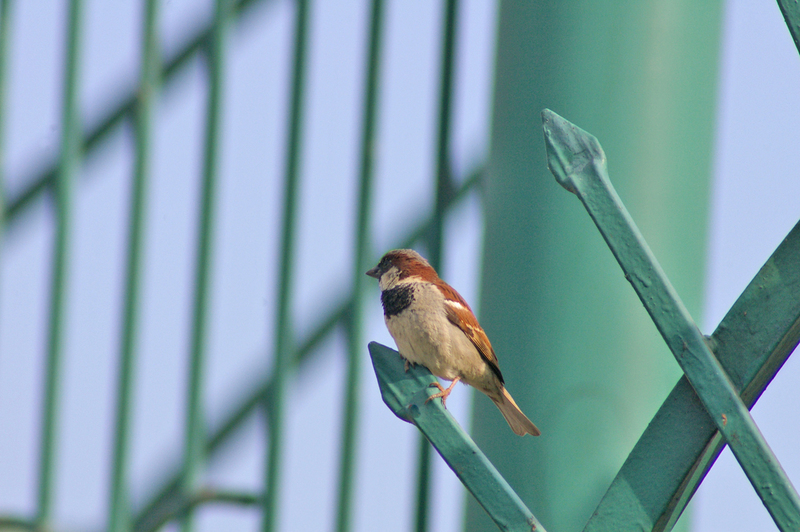 The House Sparrow is a frequent dust bather. It throws soil and dust over its body feathers, just as if it were bathing with water. Male with black throat and white cheeks. Back brown with black streaking. Male with reddish back and black bib, female brown with eyestripe. White cheeks. Black throat and chest. Back of head chestnut, extending to eye. Gray cap. Bill black. Broad, white upper wingbar. Back feathers edged with chestnut. Underparts whitish gray. In winter, the black bib is hidden by pale tips to the breast feathers that eventually wear off and reveal the black. Dingy brown all over. 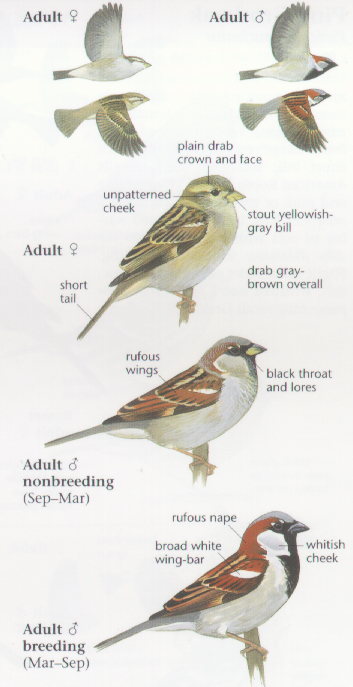 Unstriped gray brown chest and underparts. Large pale yellowish eyestripe. Black and straw-colored stripes on back. Bill yellowish. Eyes black. Crown plain gray brown. Juvenile similar to adult female. Found in human modified habitats: farms, residential, and urban areas. Seeds, especially waste grain and livestock feed. Also weed seeds and insects. 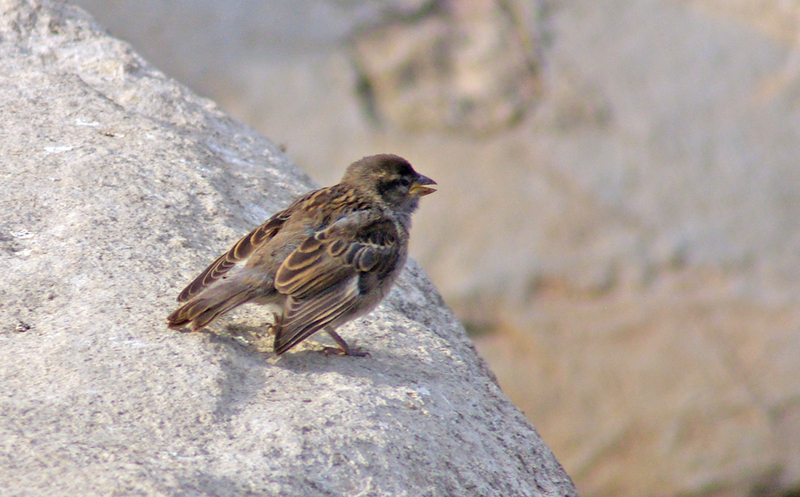 Although the female House Sparrow looks much like the American sparrows, her stocky build, short tail, plain brown crown and straw yellow-colored eyestripe distinguish her. The female Dickcissel closely resembles the female House Sparrow, but its bill is longer and thinner, and it often has a tinge of real yellow in the eyestripe, behind the bill, and on the chest. 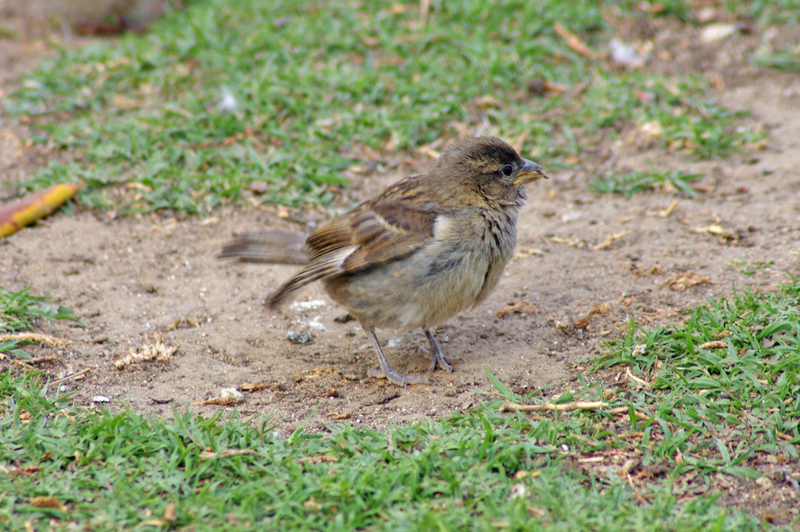 Harris's Sparrow has a black bib and chest, but it lacks the chestnut on the back of the head and the gray crown. Chickadees have white cheeks and black bibs, but they lack the chestnut head and gray crown, are much slimmer birds, and often hang upside down to get food. Calls a slightly metallic "cheep, chirrup." Song a series of cheeps. Lowther, P. E. and C. L. Cink. 1992. 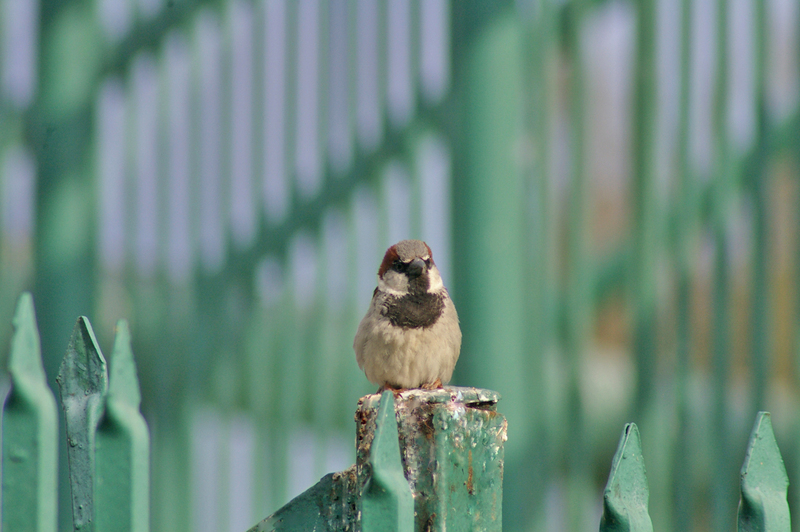 House Sparrow (Passer domesticus). In The Birds of North America, No. 12 (A. Poole, P. Stettenheim, and F. Gill, eds.). The Academy of Natural Sciences, Philadelphia, PA, and The American Ornithologists' Union, Washington, D.C.
All photos and videos © Rick Swartzentrover - Free for non-profit use.